Select to add a custom printed sticker to your product. Don't forget to attach your artwork file below. Select to add a custom printed swing tag to your product. Don't forget to attach your artwork file below. Select to add a fabric ribbon tie and bow to your product. Select your colour choice below. Write the colour of the ribbon you would like if you selected "Add ribbon" above. 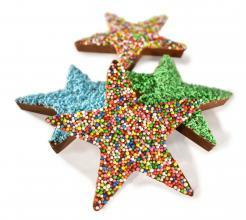 Select YES if you would like single colour sprinkles only instead of mixed colour freckles. Choose your colour below. Select the colour of your sprinkles if you chose to do single colour sprinkles. 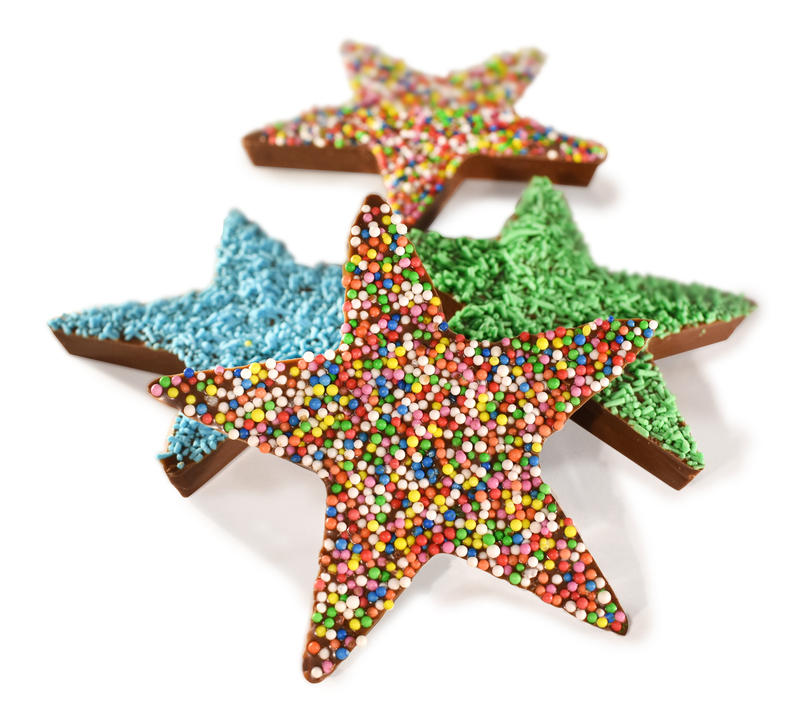 Chocolate star with freckles. 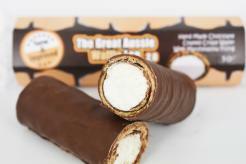 Premium Australian milk, white or dark chocolate with freckles. Packed in clear sealed bag with optional customisations.